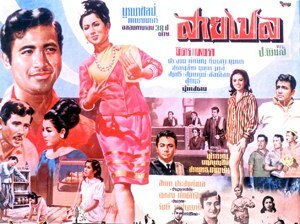 This Kingdao Daranee movie page contains 20 records. This movie is about the 27 oct 1962 severe storm, which devasted Pak Phanang coast and Talumphuk cape and killed 769 inhabitants. A young muslim lady is in love with a young buddhist fisherman but his parents have decided to marry her to another muslim man. The rivalry between the two men peaks when the young fisherman is accused of murder. The unwilling wedding just starts when the storm arrives in Talumpuk...This movie got two awards. 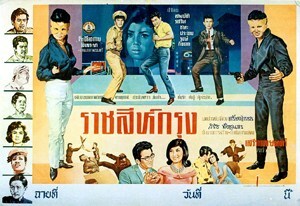 Thai movie ดวงใจคนยาก was released in year 1968. 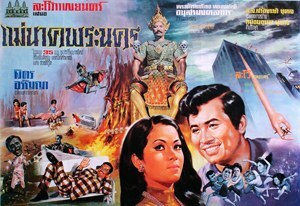 Main actor is Mitr Chaibancha and main actress is Sopha Sataporn. 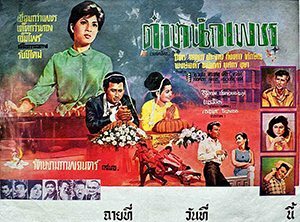 It is a lost movie in Thailand but a sequence of 50mn is still available to be seen. It is a 16mm movie format so it is in mute state. No movie summary is available. Sulaleewan Suwanthat is the movie producer. Duangjai (Sopha Sataporn) is watching the Royal barges procession in Bangkok. Sompong Phonmitr remembers to have seen Duangjai somewhere. Duangjai's mother is living in a shantytown (สลัม). She is a street vendor (แม่ค้า) but is now sick. Her daughter Duangjai has disappeared. Pa asks her sons to find her missing daughter. Duangjai is wandering around and steals food as she is hungry. She shares with another poor young boy. She takes refuge in a hut with as there is no roof so she gets wet when a storm happens. Meanwhile as the mother cannot pay her debts, the creditor (เชาว์) also takes the rugged roof as payment so the mother gets wet also when it is raining. She has 3 sons. Two of her sons finished university and the third one is a tuk tuk driver but he is the one helping the mum in case of problems. Finally they all gather to visit the mum and learn bad news from the doctor regarding her health. The mother wants to see her daughter a last time. Duangjai and the poor boy surprise robbers sharing money from a stolen bag. They catch Duangjai and the young boy flees away to ask for help. He stops a car with Mitr inside! Mitr chases away the three ruffians and helps Duangjai. Duangjai just comes back home but her mother dies in her arms. Mitr gets blamed by Duangjai and the three brothers as his family is the land owner of the slum. Kingdao Daranee is playing Mitr's younger sister. In real life, she was his wife. Mitr decides to fire the creditor and changes the rules regarding the slum management. He succeeds to get back Duangjai and his brothers' trust. He finally marries with Duangjai. Two songs are featured in this movie. Band Samsak (วงดนตรีสามศักดิ์) is performing and their members are acting in this movie as Duangjai's brothers. 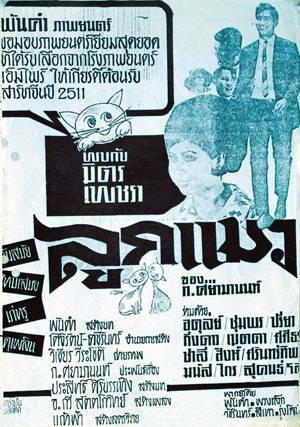 Thai movie ยอดชีวิต was released in year 1968. 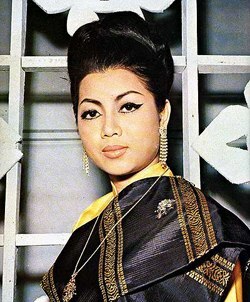 It features Mitr Chaibancha as main actor and Petchara Chaowarat as main actress. 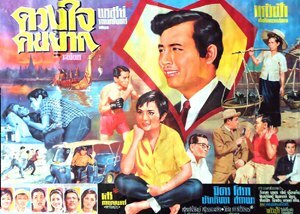 The movie is lost in Thailand but a sequence of 6mn30s remains to be seen. 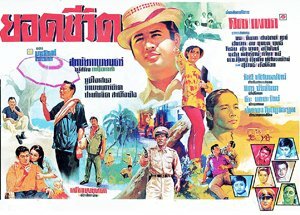 Various sequences show Somkuan Krajangsat discussing with Chana Sriubon, Mitr wearing the famous hat shown on the movie poster, a men being Mitr's father is dying, some fighting in outdoor mine, some family issues as slapping and punching happen, gun shooting. 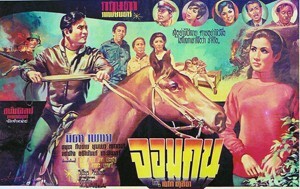 Other actors are Lor Tok, Op Boonthit, Sukon Koewliam, Kingdao Daranee, Somjit Sapsamruey, Choomporn Theppitak, Adinan Singhiran. The movie summary is still available through Thai stars old magazines. 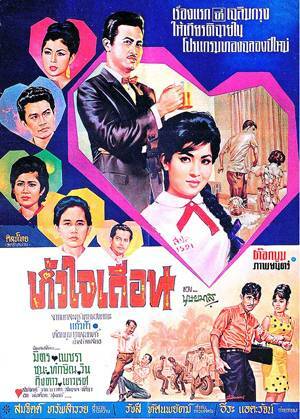 เกียรติศักดิ์ทหารเสือ is a Thai movie released in year 1965. Sor Asanajinda is movie director and actor. The film is lost in Thailand but luckily there is still a “Behind the screen” sequence lasting 20mn. It is in 16mm format so there is no sound and is in black and white color. 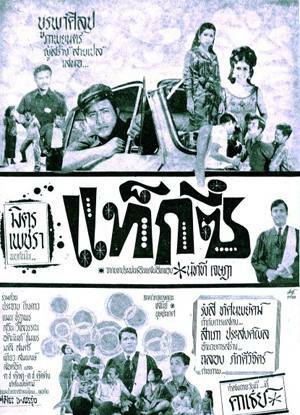 Main actors are Sombat Methanee, Chaiya Suriyun and Pissamai Wilaisak. A few sequences are featured, i.e. Sor Asanajinda giving orders to Taksin Jampol, Sombat Methanee and Chaiya Suriyun, Pissamai crying, soldiers meeting in which Sombat is stripped of his medals by the general himself and gets slapped also, meeting between Sor Asanajinda and Adul Dulyarat. A general comes and strips himself of his medals. He wishes to kill himself but Sor Asanajinda prevents him to do so. They are all disrupted by an event. During a big assembly in full uniforms, Sor Asanajinda is repeating spade fighting. While Adul is writing, an officer is going to shoot him. Hopefully Sombat intervenes at same time to stop him. The soldier has same face as Sombat! Sequences riding horses. Fight between Sombat and Chaiya. Sequence under the rain where Sombat carries Pissamai. Chaiya helps to get a flag back to avoid Sombat to be executed. The story is inspired by the Three Musketeers from French author Alexandre Dumas. 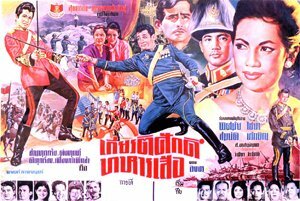 Another version was released in year 1983 and directed again by Sor Asanajinda with actors Toon Hiransap, Kowit Wattanakul, อนุสรณ์ เตชะปัญญา and Pissamai Wilaisak. Finding and watching the 1983 version would allow better understanding of the 1965 behind the screen sequences. 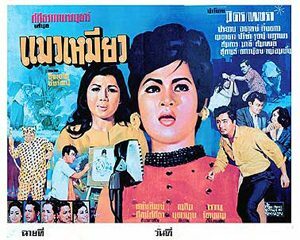 Protagonists names are พ.ท.พิสุทธิ (Taksin Jampol), พ.ต.นิเวศน (Chaiya Suriyun), ร.อ.ภูเบศร (Sombat Methanee), หญิงใหญ (Pissamai Wilaisak), หญิงเล็ก (Kingdao Daranee). 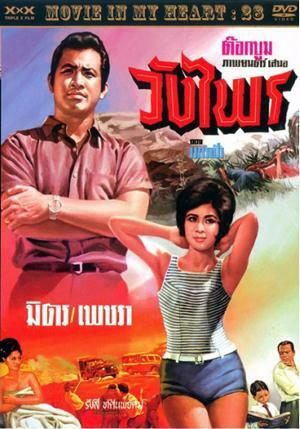 Thai movie หัวใจเถื่อน was released in year 1964. 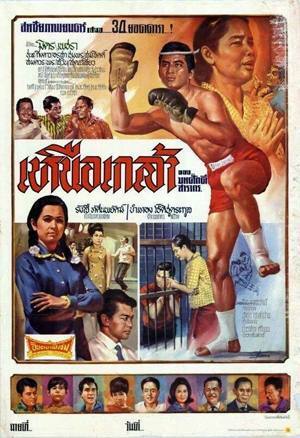 It features Mitr Chaibancha as main actor and Petchara Chaowarat as main actress. Other actor includes veteran Taksin Jampol. He tries to kidnap Petchara twice. 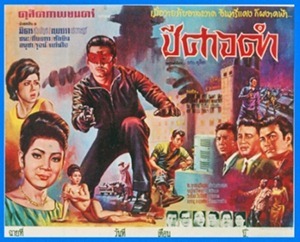 The movie is lost in Thailand but a 8 minutes sequence is left to be seen. Other numerous performers are Lor Tok, Chana Sriubon, Kingdao Daranee, Yaowaret Nisakorn, Tat Ekathat, Somjit Sapsamruey, Op Boonthit, Sukon Koewliam, Malee Wetpraseri. It looks like an action movie. A few shooting sequences happen involving Mitr, Chana and Taksin. A few brawls happen with ruffians trying to kidnap Petchara. 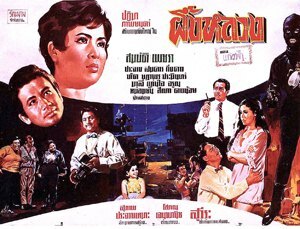 The company producing this movie belonged to Somjit and her husband Lor Tok.